Translating the marketing requirements into attainable media objectives. Defining a media solution by formulating media strategies. MPlan manages the placements to be made, insertion timings, and the format and size of ad creatives. 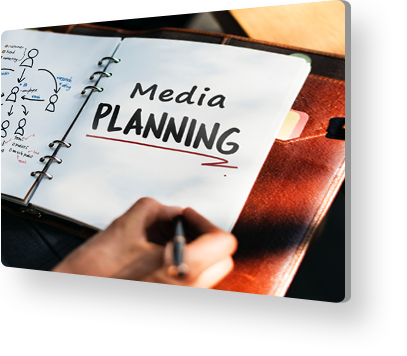 Media planning by MPlan covers placement and promotional opportunities, beyond the formal buy. We share impressions, costs and other relevant metrics one expects from a campaign. Our approach to media planning goes way beyond recommendations and deep into rationale. Reasons for advising a display advertising campaign over print media, why flights should coincide with (or avoid) a competitor’s messaging, and why search engine marketing or social media advertising should be part of our client’s approach, all are calculated carefully. We create media plans based on our collaborative work with our client’s business, our research, and our experience.